The Spaz Rats Website is currently, and always will be, under Active Construction. Last updated September 02,2008. Please refresh every time you visit, this site is frequently updated. "Stop the Pet Rat Ban" Forum. This forum is open to the public for all to read. June 29,2005 my beloved Baer passed away, just three weeks shy of his third birthday. Baer was one of the extra, extra special SPAZ rats. He's been my longest-lived rat so far, out-living his other family members by many, many months. I can't say enough good things about this gentleman rat. He just broke my heart with a quick dash to the Rainbow Bridge, after never had any symptoms of any disease except for complete hind-end paralysis. Baer's image now graces my website's main pages. I've put this old man up there on the pedestal with Starr. In the months that I have tried to help the public on this group, I have found that Y!A is not the place for accurate rat-care information. Try as I might, incorrect information continues to be advized on this all-pet forum. I encourage you to seek out any of the rat-only Yahoo groups to talk to real rat-keeping experts on the proper care of pet rats. Here is where you will learn about me and my "little" fur-family. 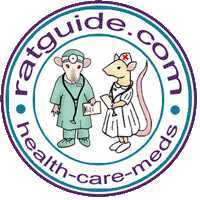 The plan for this site is for EVERYTHING RATTY to be here for you; from aquiring your rats, to their care, and their health. 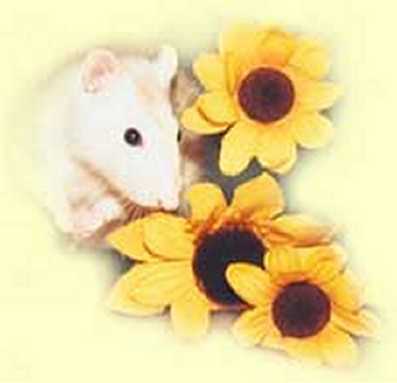 It is here that you will find useful information on the use of alternative medicine for your little ratty friends. Please note that the only remedies that will be listed here are those that I have already used on my own rats and those that have been proven safe for rats. Please also note that every rat is different and what works for one animal may not work in the same manner for another. I'm here to advise you, and to help you if I can, and to lead you to some information that you can use for general care, for an ailment, or a disease, and if I have not personally dealt with products or treatments, you may try them for yourself. I am not a veterinarian, what I share in these pages is the ratty knowledge that I have gained since 1997 and my personal experiences as a pet rat keeper. The websites that you will find linked to my site are the best rat-related sites that I can find on the internet for your learning pleasure. I may not always agree with everything that is said on these sites but I trust the webmaster's rat-knowledge and experiences. It is your responsibility as a pet rat keeper to pick and choose the information that you find on these pages as they relate to your life and your rats' lives. I would like to thank Anna Dorfman for starting the original Spaz Rats website for me; Charlotte Myers, who helped me start the new Spaz Rats website; my friends of The Ratlist, Holistarat, Ratvisioncanada, RatsPacNW, Clubrats2, and the many other rat-related forums that I've joined, who's valuable knowledge continues to provide material to build this site; and, of course, Starr, whom you see above as represented by the PEW (pink-eyed white) rat animation. It was she who started the "Spaz Rats Empire". All of you have helped me to realize the dream of an all-encompassing rat website. Knowing that some of my webpages are quite extensive, I have added the option of "Get There Faster" which are direct links to what is being discussed on that page. My name is Sandra Beasley, I have been a caregiver to rats since the fall of 1997. Do you what to know more about me and my other interests? One big happy rat family. I'm also caregiver to 4 Cats, 1 Dog, and 1 Siamese Fighting Fish. Get to know the rat from it's wild cousins to it's domestication. Includes The Over 2 Club (a "party" for all rats who have reached the age of 2 years old), stories of wild rats becoming pets, Rat Biology and Anatomy, and Understanding Your Rat's Behavior. 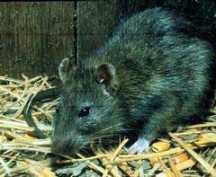 Can the Brown Rat and Black Rat Interbreed? (Temporary link) Can Norway rats and roof rats interbreed? 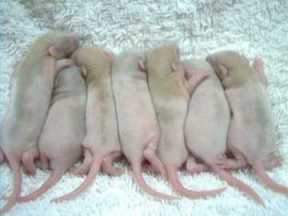 Can our Pet Rats Breed With Wild Rats? (Temporary link) Rats and mice: what's the difference? Rats have been described as "palm-dogs", some act much like cats, or the way they use their paws makes them look similar to monkeys. Toys, games, play houses, and more, for your rats. Games, puzzles, cartoons, art, clothing, quizzes, and more, for you. Everything you want to know before you get a rat. 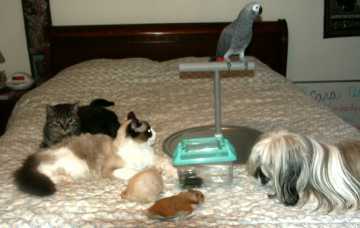 Find out all you can about how to care for your new pet through clubs, forums, books, etc. Where to find your rats. The best housing, bedding, cage accessories, food, treats, and water. The pros and cons of breeding, and doing it right, from the beginning. Whether it is unintentional or intentional, be responsible. Your first response in an emergency, including first aid kit essentials. Loving care through long-term illness and old age. The immune system and how it is affected by the aging process. This page includes arthritis, bladder infection, common drugs used for rats, dementia, ear infections (head tilt), eye and ear disorders and injuries, heart disease, injuries of bones, muscles, ligaments, etc., kidney disease, liver disease, megacolon, muscle degeneration, obesity, sight and hearing degeneration, suppressed appetite, surgery (pre- and post-op care for tumor removals and spay/neuters), tummy troubles (diarrhea, internal parasites, and constipation), and uncommon ailments. Traditional and alternative methods to fight this disease. Covers both benign and malignant cancers. 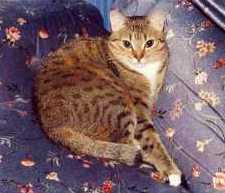 Includes aggression (fighting and biting), hydrocyphalus, neurotic behavior, paralysis, seizures, and stroke. Includes allergies, mycoplasma pulmonis, upper (sinus) and lower (pneumonia) respiratory ailments. How to groom and bathe Rats. This page includes abscesses/cysts, allergies, bacterial infections, barbering (over-grooming), bumblefoot, mites (and other external pests), ringworm, tail injuries, wounds, and excessive bleeding. 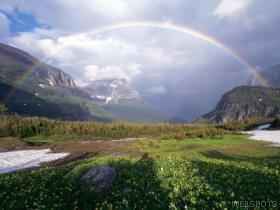 Join Holistarat A complimentary Forum to the information that you will find on the following Holistic pages. 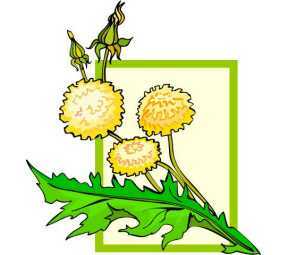 Alternative treatments using plants to heal. Like cures like, a gentle method of healing. Treating emotional states in a natural way. Includes Aromatherapy. Using alternative medicines along with traditional medicines. Better health through good nutrition. Improving vitality through supplemental support. 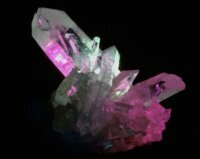 Color therapy, gemstone therapy, hydrotherapy, magnetic therapy, healing hands therapy (ie. massage, reiki, Ttouch), etc. Grieving the loss of a pet and helping others. This page includes the Spaz Rats' Virtual Cemetary, Monthly Angels, The Over 2 Club for the Dearly Departed, music, poetry, stories, and words of comfort to help you cope with the loss of your ratty friends. More websites to visit to learn about RATS. Like, a Mouse may be controlling your computer, but Rats are taking over the internet, eh? You'll not only find links on this page, but there are hundreds of ratty links throughout this site. Awards the Spaz Rats site has won. Guestbook, Site Credits, and WebRings. So tell me what you think of the Spaz Rats. I know ya wanna. I may not have all the answers, but I know others who do. Because of my love for all wildlife I have also added Wildlife Rehabilitation to this website. Just gnawing away at the work that needs to be done on my site. Maybe you can help me find some of the material I need? The information gathered herein is not intended as a replacement for professional veterinarian services. To the best of my ability and knowledge, the information found in this web site is accurate.